Servius Sulpicius Galba was born in 3 BC. He had served Rome as a very able and well-respected administrator. He had been appointed a governor of Hispania in 60 AD under Nero. The troops of Spain declared him Imperator and the Senate of Rome declared in his favor. As Galba began to march toward Rome, Nero attempted to flee but with no escape possible, he committed suicide. 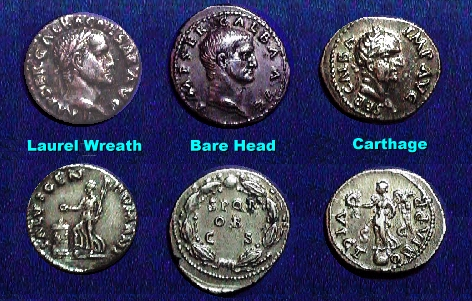 However, when Galba was summoned by the Senate to accept the “Purple,” he was already at a very advanced age of 71. 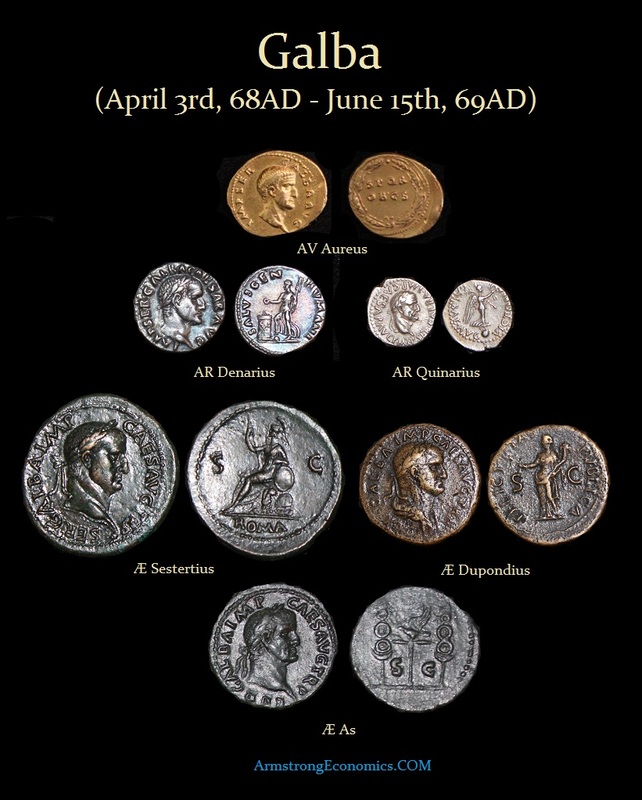 The economy of Rome was in shambles and inflation was rising out of fear of the future. Galba’s advanced age failed to inject confidence into the economy and he was certainly in no shape to take on anyone who might resist his assumption to the imperial office. 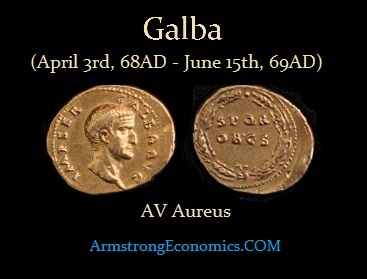 Galba, nonetheless, attempted to bring the economy into line. He immediately began a reform program that was anything but popular. In military affairs, Galba required strict discipline among the troops and the Praetorian Guard. Unfortunately, these reforms made Galba increasingly unpopular with the army and especially with the Praetorians. Being of advanced age, Galba was in need of an heir. Marcus Salvinus Otho had been the governor of Lusitania. He originally supported Galba expecting to become his successor to the throne. Instead, Galba selected Lucius Calpurnius Piso and Otho’s plans were radically changed. On January 2nd, 69 AD, the legions of Lower Germany proclaimed Aulus Vitellius as Imperator. Marcus Salvius Otho conspired against Galba and convinced the Senate to proclaim himself Emperor. Otho then had both Galba and Piso assassinated in the Forum on January 15th, 69 AD, ending Galba’s reign after only six months. NOTE: The portraits of Galba initially portrayed him with a bare head either facing right or left. Eventually, Galba’s portrait began to incorporate the familiar laurel wreath of the emperor.